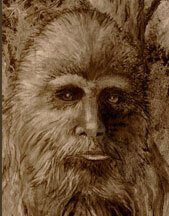 Illustration by the Erickson Sasquatch Project. 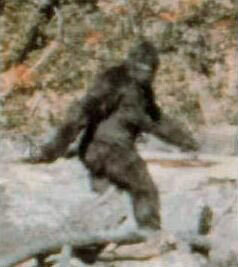 Frame 352 from the Patterson-Gimlin film, alleged by Roger Patterson and Robert Gimlin to show a Sasquatch, or Bigfoot, female with breasts walking. About a third of all reports of North American Sasquatch sightings are concentrated in the Pacific Northwest while widely separated Texas, Florida and Ohio also have had many Sasquatch eyewitness reports. See map of Sasquatch eyewitness reports below.